You are here: Home » Featured » New Year Derailed, or Realigned? Not a resolution was in my mind as I hopped on a plane in late December in anticipation of our newest grandson’s arrival. This was number four for mom, and she usually comes early. I wanted to give her plenty of extra buffer room so she could rest easier. Soon the evening came when I was wrestled from sleep to drive over so they could go to the hospital. In the morning we were rewarded with a text and photo of baby Alfred and mommy. One more night and they would be home to show him off. I kept the other three occupied, but something had changed, I noticed my patience was easily tested. By the next afternoon I was feeling like I had been hit by a truck and sent them all up for some quiet time after lunch, so I could slowly die alone on the couch. It felt like the flu was ravaging my body instantly. Upon arriving home our daughter and son-in-law found me on the couch in full winter gear; coat, gloves, hoodie. I couldn’t see the baby and didn’t want to get close either. I ended up having to be driven home and handed off to our other daughter who was finishing up the flu herself. She had all the “over the counter meds” so we could nip this bug, in the bud. Thing is, we had different symptoms. What worked for her made me lose my stomach contents. Plan B consisted of, tough it out with the old basics; Tylenol, cold rag to the head, prayer like no bodies business, and monitor my fever. The chills and incredible pain in my head and neck were relentless. Nothing lessened it. I threw myself at the foot of the Cross for supernatural help and strength. I can tell you, I have never begged more for mercy and strength than in those thirty hours. To complicate things, every time I closed my eyes all kinds of weird stuff was going on, and I wasn’t even on anything. Suffice it to say, once my husband arrived, I begged him to take me to the ER. While they didn’t know what was going on, testing eventually verified, I had a case of fungal meningitis. Clearly, this wasn’t the flu we were dealing with. Well, that was never on my radar, or on my bucket list. My January calendar was already pretty full. It’s still a mystery they are trying to solve. 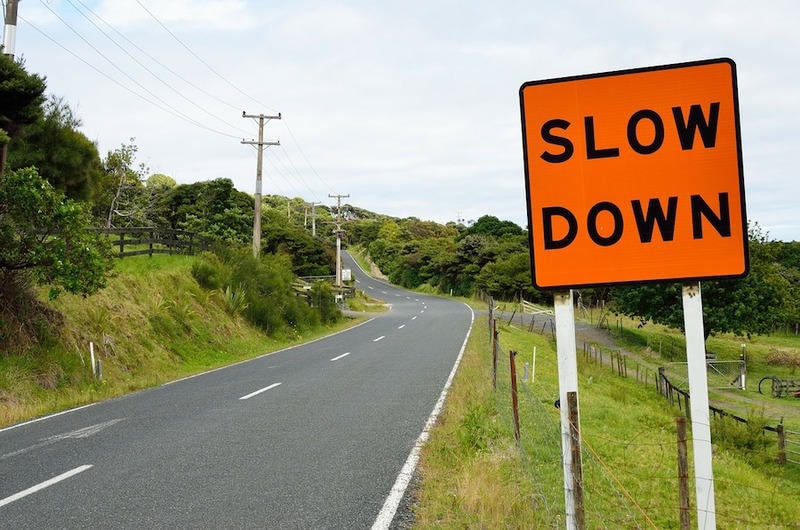 The recovery is slow and demands patience, self-control, and lots of rest. How unique, three things I lack. Oh Lord, how beautiful your custom-made crosses. Why do I bore you with all my medical details? Everybody gets sick, has crosses to bear, and challenges they endure every day. This is true. Looking around, despite what I am going through, there are so many much worse off than I. People say, “Don’t compare, Barb.” But I think that is wrong. I’m not so much comparing, as I am counting my blessings, and garnering hope. When I want to pity myself, I think of my father who has been in constant pain for fifty years. How do you do fifty years and not go nuts? One moment at a time. One prayer at a time and entrusting oneself to God who has a plan for our good. When I am in pain, or flat out on my back, I tend to pray “with all my heart.” I look for the Lord, I search Him out, in an intentional way. It is the only thing that gets me through the difficult, and seemingly senseless suffering. eople are whizzing through life at incredible speeds, trying to arrive at that all elusive, “caught up” and missing the beautiful journey that God put them on. A grandchild’s face, a timeless visit with people dear, phone calls with no real purpose but just to catch up, or just lying in the sun and letting its rays wash over you like God’s abundant love. From this perspective, it feels a lot like the camera technique used when they focus on someone in real time and speed everybody else up in the background. 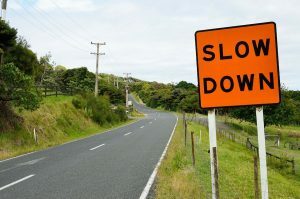 Until you slow down, (or are slowed down), you’re in the fast lane with everybody else and it just seems normal. Every day life is going by. What are we missing when we think we are getting ahead? Does your spouse know they are your priority? Do your kids get quality timelessness with you? Do you see the people that are important to you? Are you always dashing off, squeezing people between appointments, feeling hurried, tired and exhausted? Our wise, Most Reverend Bishop Thomas J. Olmstead, recently gave his flock a beautiful gift in his, “Apostolic Exhortation to the Husbands and Wives, Mothers and Fathers, of the Diocese of Phoenix” called, “Complete My Joy.” It is a reminder of our call and mission and it is already bearing fruit as couples reevaluate how they are living out their marriage and family mission. I invite you to deliberately step out of the fast lane. Read “Complete My Joy.” It’s brief and packed with truth and wisdom we need to hear.